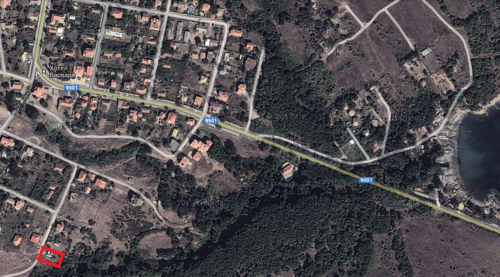 The plot (regulated) with an area of 597 sq.m, is located in the village of Varvara, Tsarevo municipality, Burgas region. - Distance (by air) from the beach: ≈ 450 m.
- Nice year-round climate without extreme temperatures - soft winter and warm summer. - Average sunshine: 240 hours in May and September and more than 300 hours in July and August. - Pure nature without pollutants. Fresh air, clean water, and a warm, safe sea. The village of Varvara is a picturesque oasis of tranquility and preserved Black Sea atmosphere. 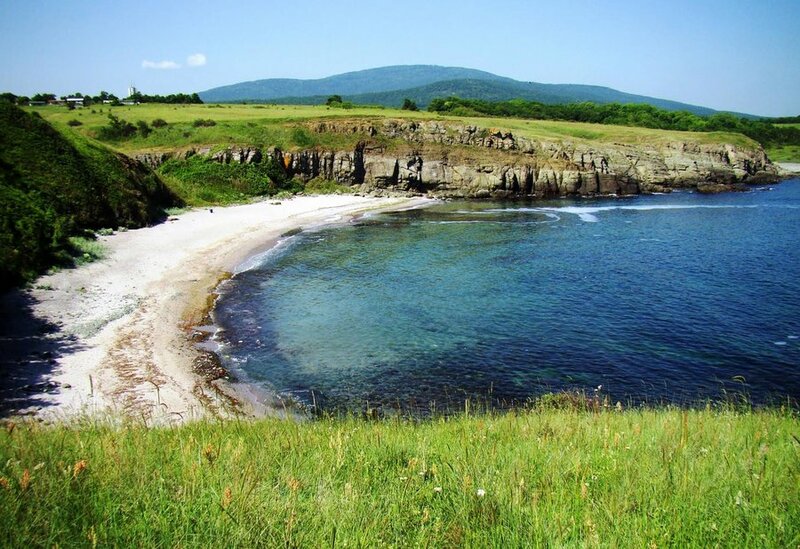 An ideal place for relaxation, with a guarded beach which, although small, is naturally sheltered from the constant daily northeastern wind typical of the Black Sea summer. 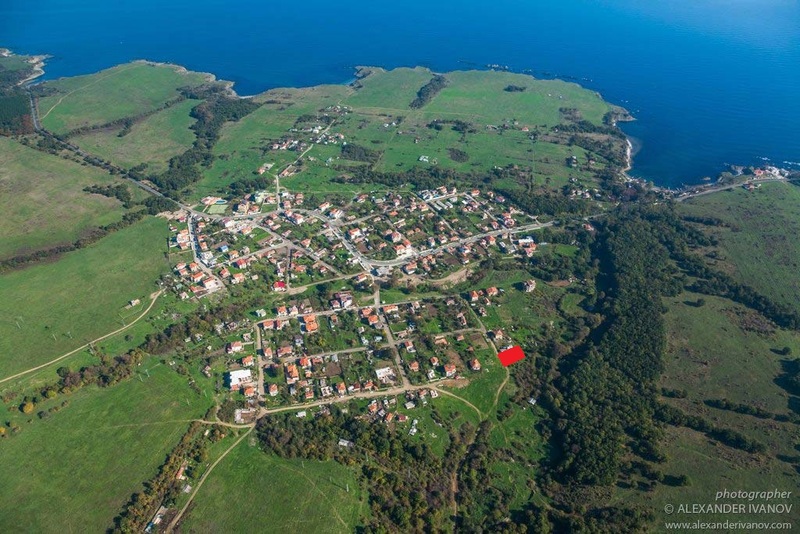 The village is a preferred recreation place for famous Bulgarian and foreign intellectuals. 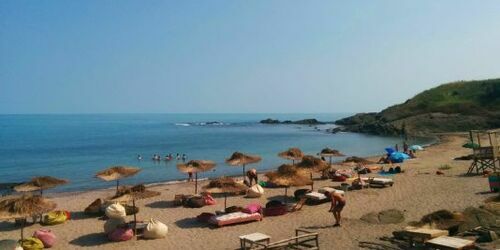 There are a dozen, local restaurants, and cafes, as well as two nightclubs. 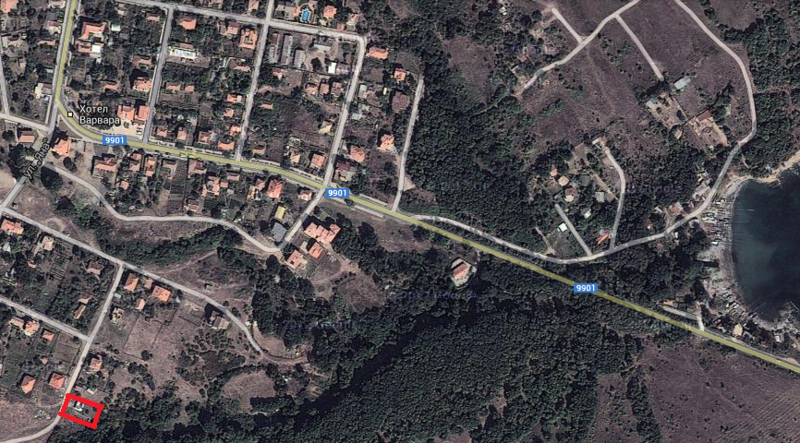 The road to the village is a renovated and maintained first-class asphalt road. The property is south facing - the last one at the southern end of the village. To the west and to the south it borders with streets, to the east, it borders on a municipal plot and to the north, it borders with another plot. Construction of a building with a height of 10 m is allowed, from the second floor of which will be good views: to the east - of the sea and to the west - of the slopes of Strandzha mountain. 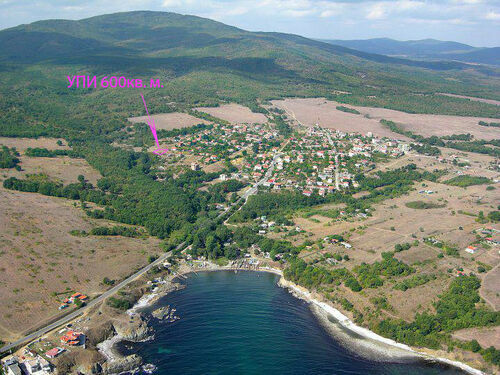 School, Kindergarten, Bus stop, Public square, Leisure centre, Touristic area, Beach, Natural park, Forest.